Dolphin Pose is a great forward bend and a stepping stone to full inversions. 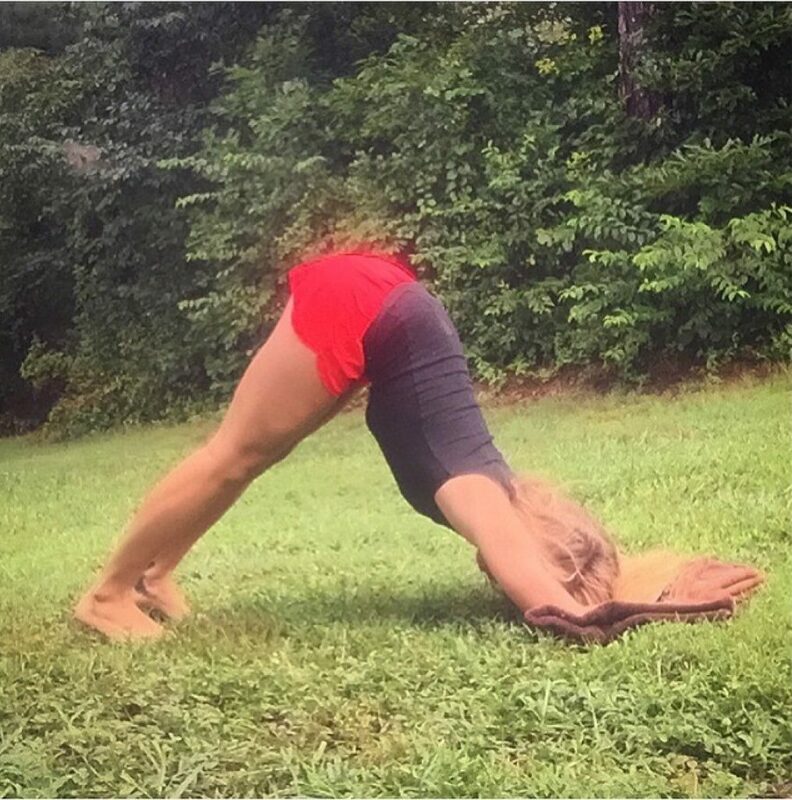 When you haven’t yet raised your legs above your head, this pose gets you comfortable with that upside down feeling. Releasing ourselves from gravity may be difficult, but when done correctly can feel truly liberating. Today we learn about how to do Dolphin Pose or Makarasana to balance our Third Eye Chakra and feel that sense of liberation and self reflection. This is also a great pose for strengthening the shoulders, arms, and abdominals. Who doesn’t want to have great shoulders like Tahnee’s above. It also helps to loosen the hamstrings. You can use variations if your hamstrings are tight, by bending the knees slightly, moving toward a full stretch over time. 1) Come onto the floor on your hands and knees. Set your knees directly below your hips and your forearms on the floor, with your shoulders directly above your wrists. 2) Firmly press your palms together and your forearms onto the floor. Curl your toes under, then exhale and lift your knees away from the floor. 3) At first, keep the knees slightly bent and the heels lifted away from the floor. Lengthen your tailbone away from the back of your pelvis and press it lightly toward the pubis. 4) Against this resistance, lift the sitting bones toward the ceiling, and from your inner ankles draw the inner legs up into the groins. 5) Continue to press the forearms actively into the floor. Firm your shoulder blades against your back, then widen them away from the spine and draw them toward your tailbone. 6) Hold your head between the upper arms, don’t let it hang or press heavily against the floor. 7) You can straighten your legs here, but if your upper back rounds it’s best to keep them bent. Over time your hamstrings will stretch out and you will be able to straighten them completely. 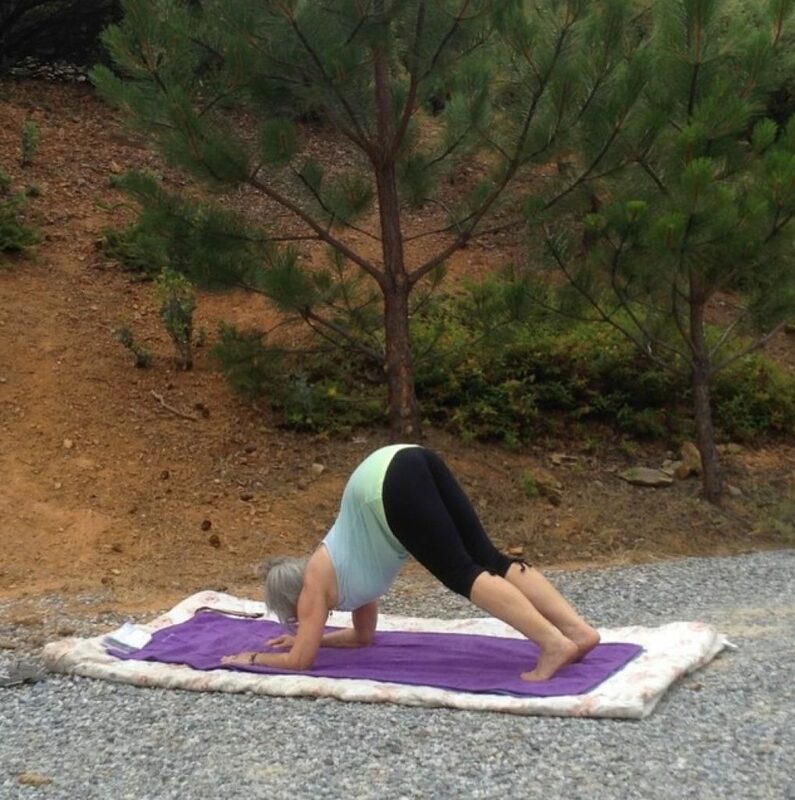 8) Continue to lengthen your tailbone away from the pelvis and lift the top of your sternum away from the floor. 9) Stay in this pose for 30 seconds to 1 minute. Then slowly release your knees to the floor with an exhale. Spread the Joy of Yoga by Sharing our Posts. Links are Below. Great images and information on dolphin pose. Thanks. Yoga inversions and a good diet are sure to keep you on the healthy track. Thanks for sharing this info. You probably already know this but inversions on a SUP board aren’t easy. Great exercise and tonnes of fun. Your right Dolphin pose is a great start to full inversions.